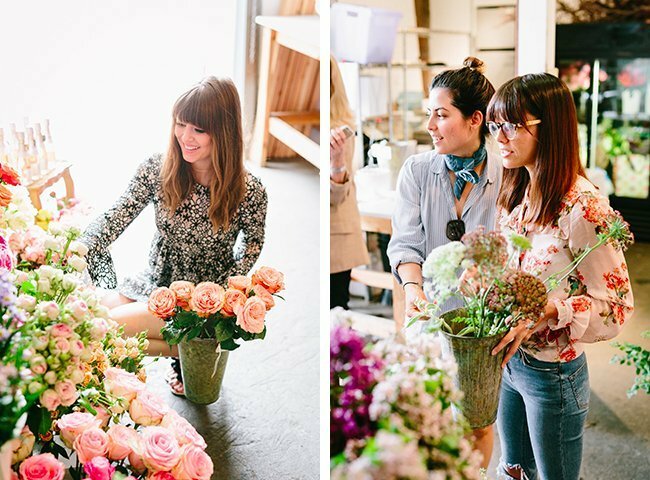 Floral Workshops For You And Your Besties! 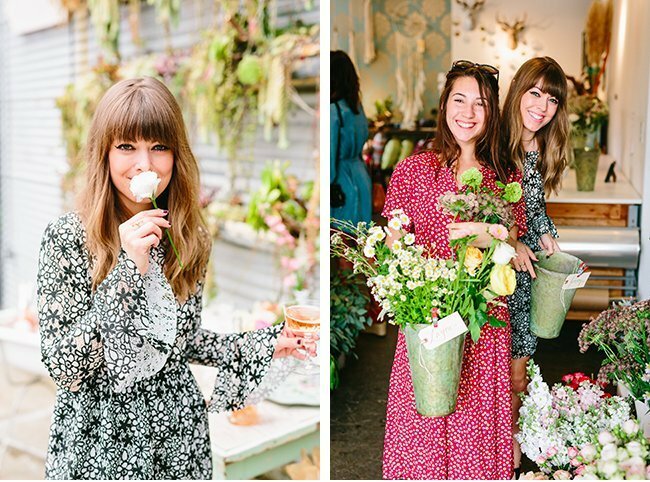 What a better way to spend an afternoon than meandering through rows and rows of abundant seasonal florals, grabbing handfuls of gorgeous blooms, and letting your inner flower child run wild! 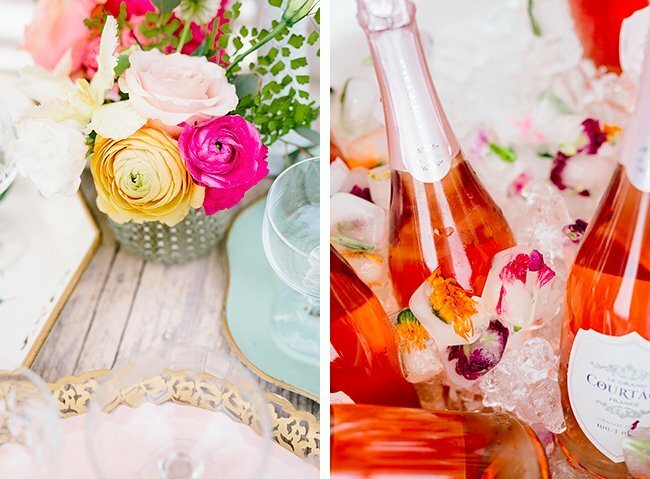 OK well, maybe a sparkling cocktail by your side could make it even better... That and a small crew of all your besties! 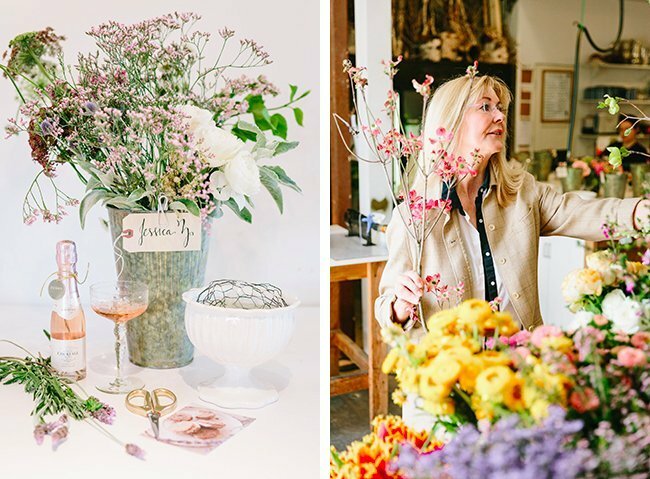 Lilla Bello's floral workshops are all that and more! 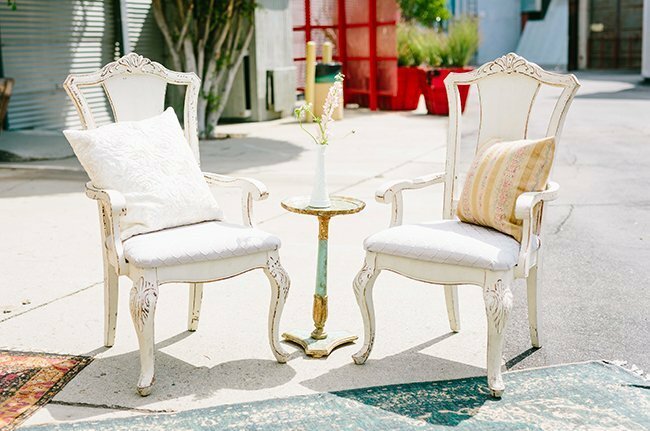 Hosted in our beautiful, open air studio space at Bergamot Station in Santa Monica, and guided by one of our talented designers, our private workshops are the perfect way to spend some quality time getting your creative on with your closest pals! 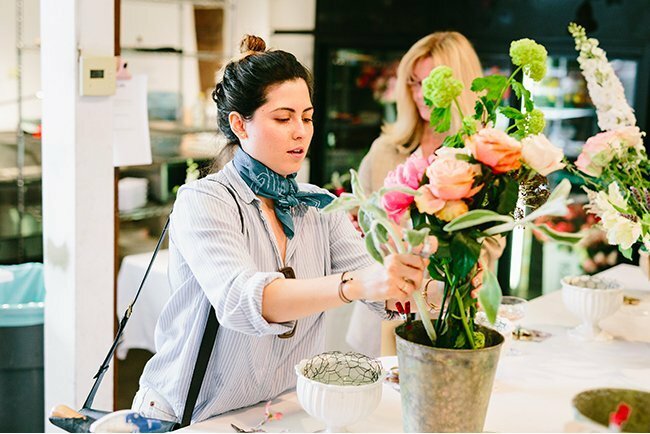 A few weeks ago, we had a blast hosting Jenny Bernheim of Margo & Me, along with all of her favorite peeps, and the creations were out of this world! 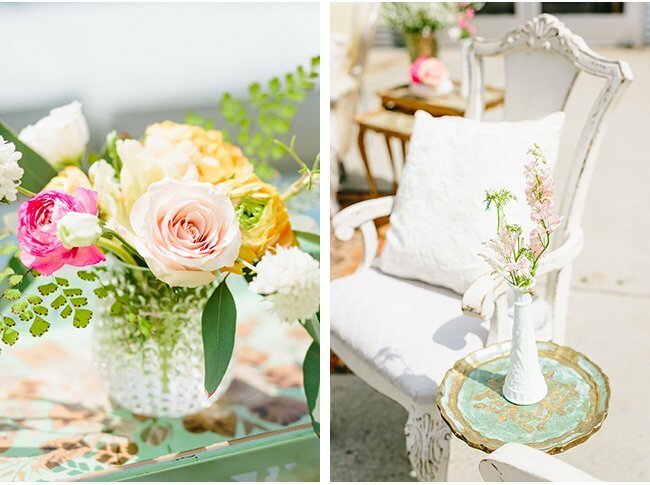 Our friends at Pretty Vintage Rentals stepped in on this one and beautified our outdoor courtyard area in gorgeous vintage furnishings and glassware, and Le Grand Courtage provided all of the yummy blushy bubbly! 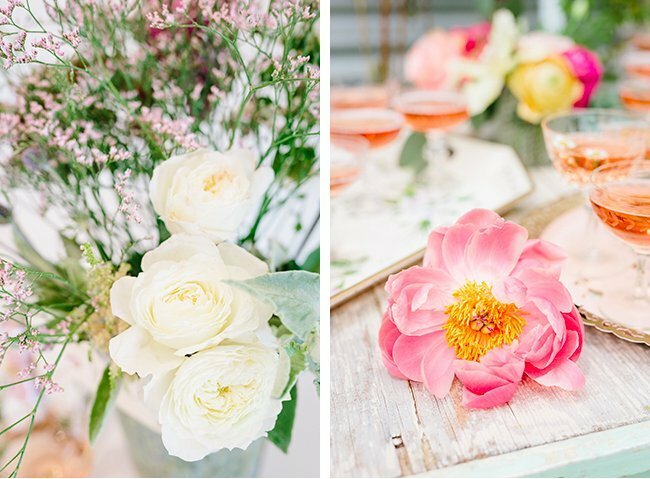 Photographer Jodee Debes was here capturing every detail with her flawless photos, and Sweet Laurel provided some tasty vegan treats! 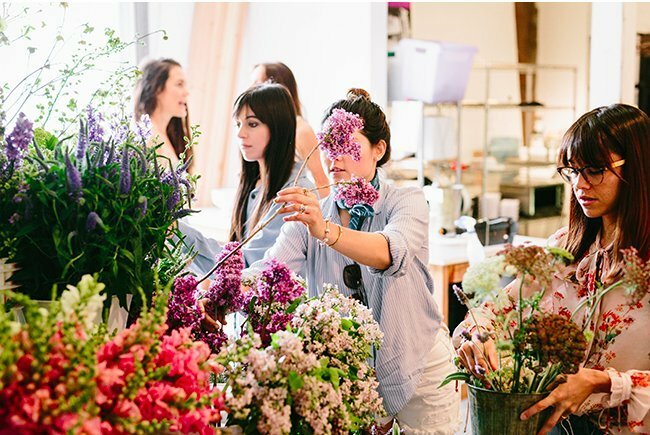 Lilla Bello workshops are a unique idea for bridal get togethers, showers, holidays, birthdays, or whatever your little heart dreams up. 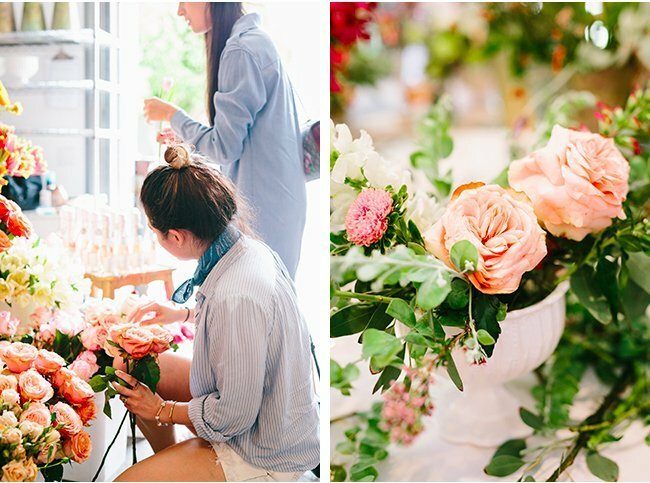 We love to get creative and tailor each event to your special occasion! 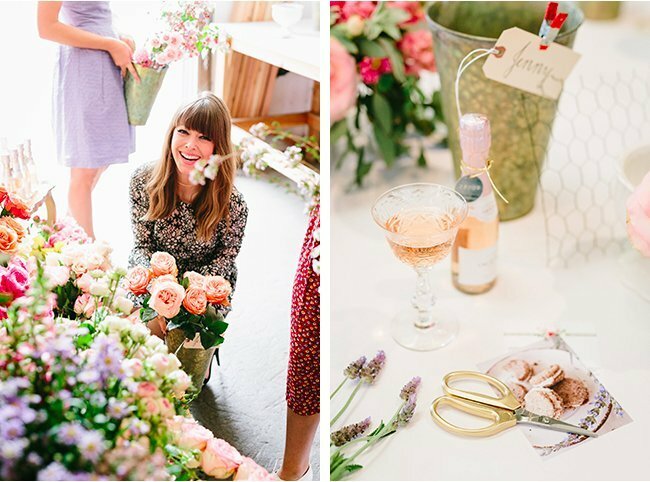 So are you ready to plan your own flower soiree? Contact us for pricing and to reserve your date! 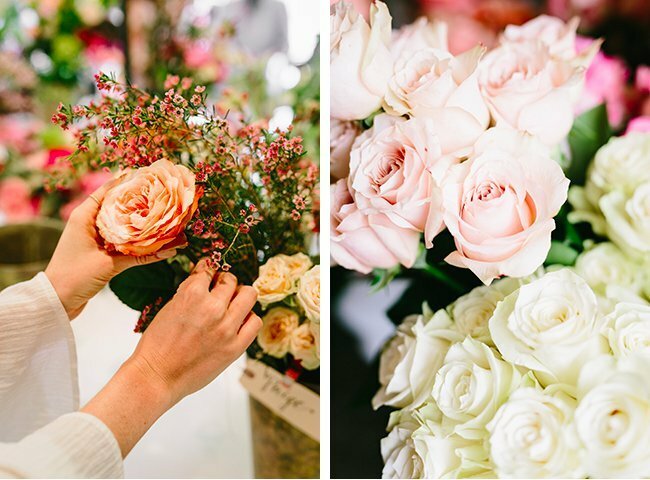 Workshops are 2.5 hours and take place on Sundays (11:30am-2pm) or Wednesday evenings (7pm-9:30pm). 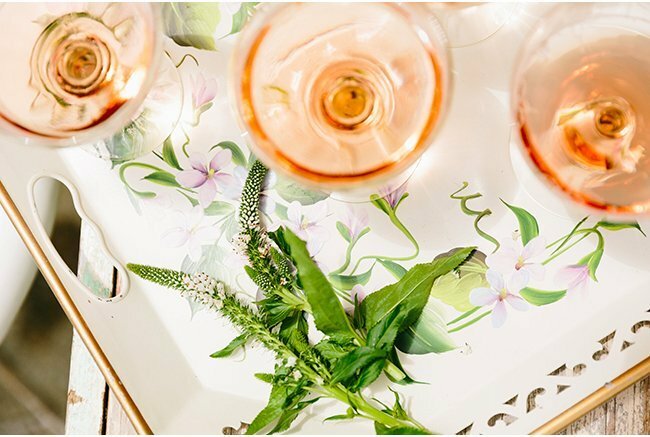 Capacity: up to 12 guests. Plan ahead, these dates get scooped up fast!